Fixer Sophie Thorne, from Swindon, experienced abuse via text messaging and social media. 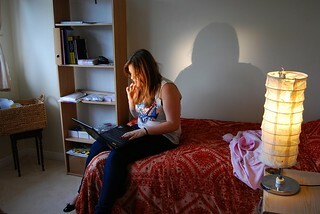 Now she is raising awareness of cyber-bullying to prevent others enduring similar experiences. A film about her Fix was broadcast on ITV Meridian in October 2012. For more info, interviews etc contact communications@fixers.org.uk or call 01962 810970. Please credit Fixers when using this image.